Are you planning to work as an architect upon graduation? Would you like to find out what kind of day-to-day research is likely to be required? Wish to learn from the experience of notable CoA alumni? Want to network with successful architects working in practice and related fields? All of these are valid reasons to come to the William R. Jenkins Architecture and Art Library on Wednesday, November 19th from 4-5 pm. We are launching a new series of receptions called Research in the Real World, in which we ask successful people working in our fields of study about the nature of their work and how they acquire the information they need to excel. For our inaugural event on the 19th we have invited three College of Architecture alumni who work in three very different environments. 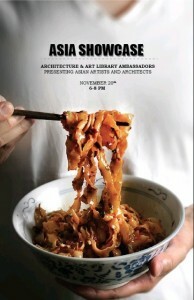 Come to the library’s upper mezzanine at 4 next Wednesday for a 20 minute Q&A with the architects, followed by a reception. Food and drinks provided by Mandola’s Deli. We are pleased to announce the ongoing project Selections from the Franzheim Rare Books Room is now available in the UH Digital Library! This digital collection presents examples of notable works housed in the University of Houston’s Kenneth Franzheim II Rare Books Room. The room contains approximately 1000 rare or unique books, journals, and pamphlets on fine art and design. Highlights of the collection include portfolios of building types, architectural product catalogs, and first editions of some of the 20th century’s greatest books on art and architecture. The books in the collection date from the mid-16th century to artists’ books published in the 21st century. The Kenneth Franzheim II Rare Books Room is located within the William R. Jenkins Architecture and Art Library on the first floor of the College of Architecture. This collection is expected to grow over the coming months and years, so please check back occasionally to discover newly added volumes! 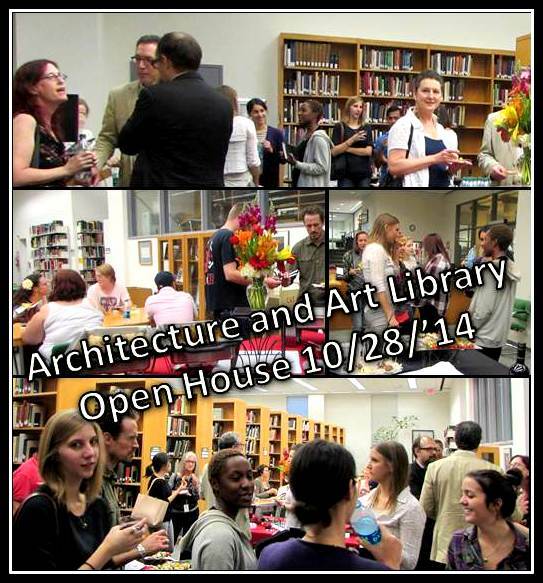 On the evening of Tuesday, October 28th, the William R. Jenkins Architecture and Art Library held an open house and reception. The private mixer brought together, in convivial fashion, some forty UH art history graduate students and faculty members with representative staff from other local arts research facilities, including The Menil Library and the Museum of Fine Arts, Houston’s Hirsch Library. The star of the evening was the Kenneth Franzheim II Rare Books Rooms; guests were treated to a brief tour and overview of the architecture and art branch’s own special collection. Students and faculty members alike expressed gratitude for the opportunity to meet other members of Houston’s arts community and to learn more about the research collections at UH’s Architecture and Art Library. Fostering strong and friendly relations with the area’s other researchers and research facilities is one more way UH Libraries helps enhance the academic experience and success of our core patrons.